Martha Berry talks about a young lady that Dr Johnson has recommended to Miss Berry, but says she is sorry she has no place for the girl at Berry. 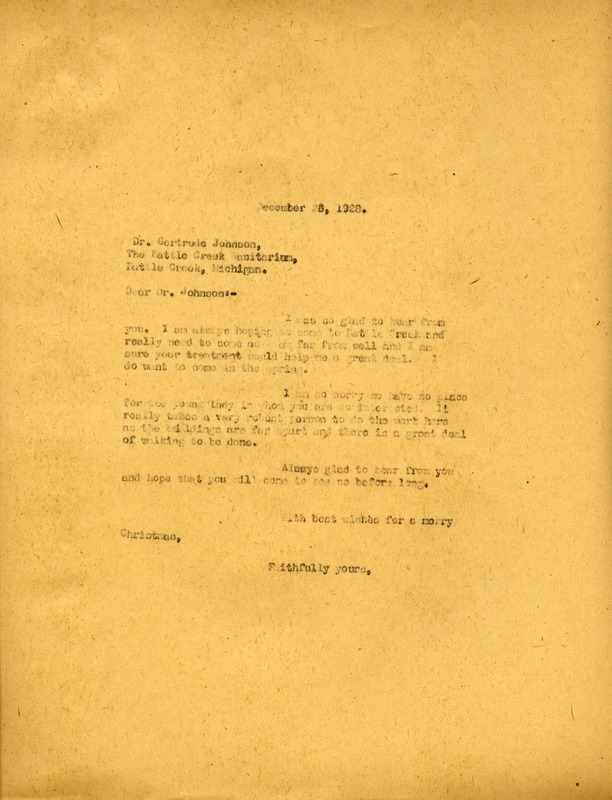 Martha Berry, “Letter to Dr Gertrude Johnson from Martha Berry.” Martha Berry Digital Archive. Eds. Schlitz, Stephanie A., Cassie LaJeunesse, Alan Henderson, et al. Mount Berry: Berry College, 2012. accessed April 19, 2019, https://mbda.berry.edu/items/show/6583.